Well, April certainly flew by. It's been a month of new makeup discoveries so let's get started! The Bourjois ColourBand Eyeshadow and Liner in 'Rose Fauviste' has been the only thing I've been sporting this month. It's a gorgeous rose gold cream shadow that can be sheered out or built up to create a stunning metallic finish. The shimmer is very fine and the consistency very smooth. You can see swatches here. 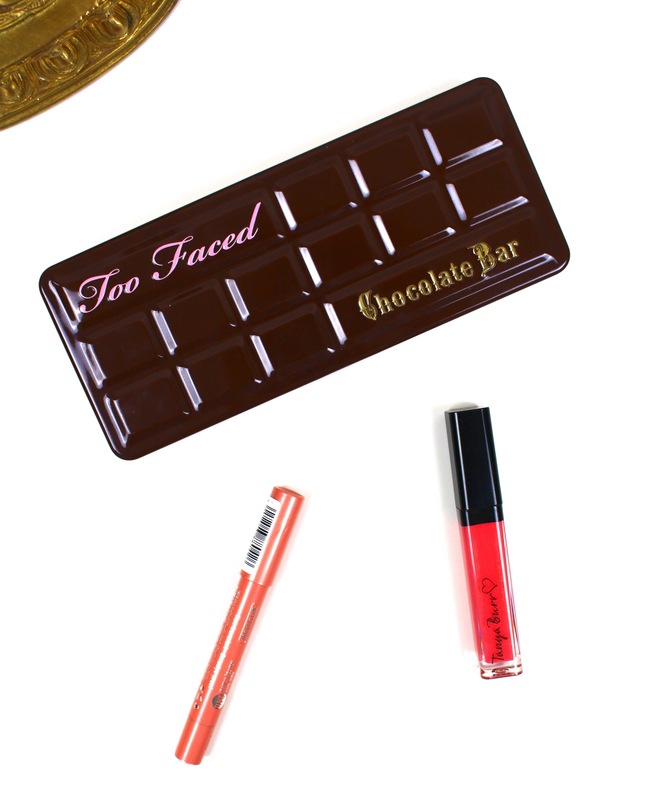 I've also been loving the matte shades from the Too Faced Chocolate Bar Palette. The palette has such a great range of matte browns which are very creamy and easy to blend. I've loved pairing the Bourjois shadow stick on the lid with Salted Caramel from the Too Faced palette in the crease. I love the look it creates; it's very warm toned and for some reason reminds me of a sunset. Sparkling Dewdrops from the Tanya Burr lip gloss range has been my latest obsession. It's a really pretty pink lip gloss which a slight peach hue. I've already done a stand alone post on this gloss which you can read here. It's truly the perfect summer lip gloss. This month I discovered a new channel on Youtube; Harry Makes It Up. Harry is an incredibly talented makeup artist who has so many tutorials on her channel. I think I've watched pretty much all of her videos and I highly recommend checking her out! So those all of my favourites of the past month. The weather in the UK has been so good lately and it's making me very excited for Summer. Let me know what products you've been loving this month. I really like the Too Faced Palette it's such an amazing product!